This past summer, I spent a month and a half in a region in the south of France called the Ardèche and decided to share my experience through a blog I kept. It chronicled my daily travels and eating adventures. I posted daily recipes based on traditional French meals, as well as some posts about small cities and villages I visited. It would be a shame to let all the recipes go to waste, so I decided to recreate them: dorm room style. If you ever go to France, do me a favor and have a croque monsieur. They are by far the simplest, but best, sandwiches ever. If going to France is not in your plans for the near future, don’t fret. This sandwich can be prepared and devoured in your dorm room within no time. 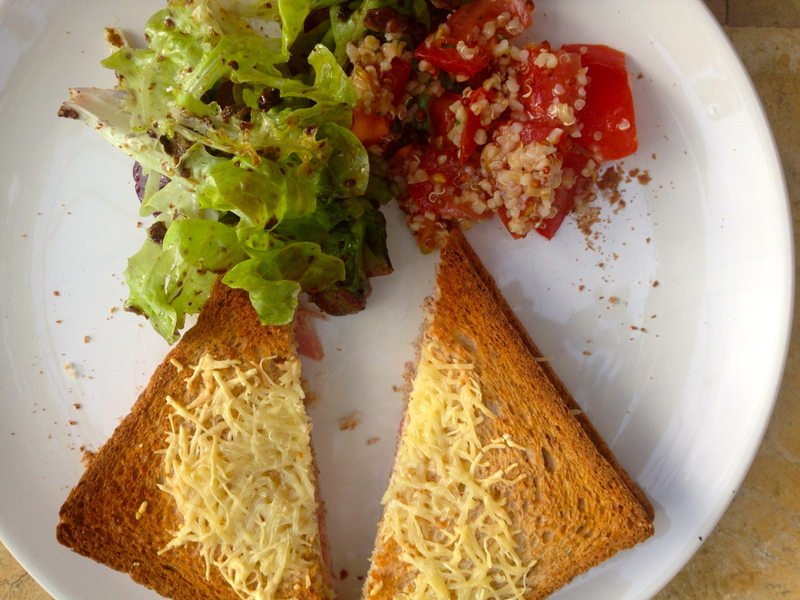 It may seem complicated to make a croque monsieur, but in reality you only need an oven and a couple of ingredients. This insanely cheesy and perfectly toasted sandwich requires only a couple of steps. 2. 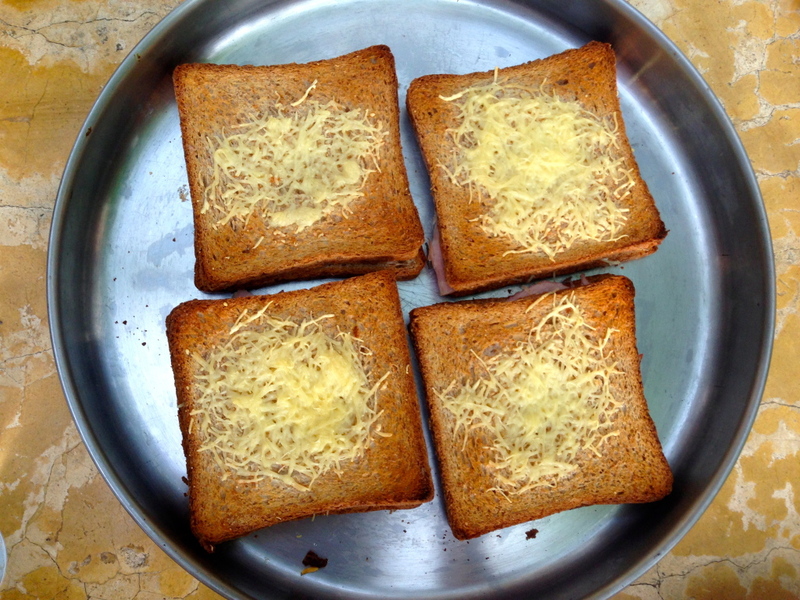 Take two slices of bread and coat either side with a thin layer of butter. 3. Place a couple of slices of ham in between the slices of bread. 4. Take the cheese and soak it in the milk for about a minutes. 5. 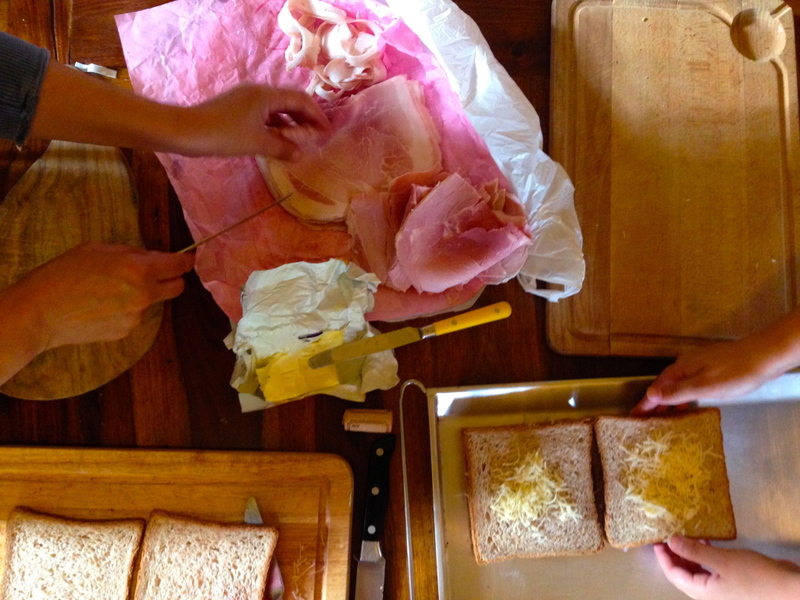 Take the milk soaked cheese and place it with the ham, in-between the slices of bread. 6. Also place some milk soaked cheese on top of the sandwich. 7. Place in the oven for about 20 minutes, or until the bread is golden brown. Make sure to keep an eye on them, because sometimes it takes less then 20 minutes. You can also flip the sandwiches so they brown on either side.